Opie Oils and our friends at Denso have come together to help you understand the faults you might find your glow plugs in. Ensuring your glow plugs are functioning correctly is an important part of keeping your engine in good health. But how can you tell the difference between a plug that’s doing its job and one that’s on its last legs? Well, the appearance of the probe tip of a used glow plugs directly reflects the condition of an engine. Silkolene Lube Cubes – The eco friendly alternative to bottles! Silkolene are renowned for their quality bike oils the world over. Combining quality base stocks, a good dose of detergents, additives and even the addition of Ester has made them the oil of choice for serious bikers. Now, they have brought their innovation to the packaging that their products come in – enter the Silkolene Lube cube! At Opies, we are “branching out” into products such as chainsaw oils and general garden oils. We stock a wide range of quality products from top brands such as Fuchs and Castrol, all of which are designed to do a specific job to an extremely high standard. Dents in your bodywork? Not a problem! Getting dents removed or “pulled” in a bodyshop can be an expensive route when improving the bodywork of your vehicle. In reality, your vehicle is bound to accrue an unsightly collection of dents and dings over the years – one of the most frustrating things is getting your vehicle back from the bodyshop, freshly repaired and dent free, only for you to need to book it in again a couple of weeks later. 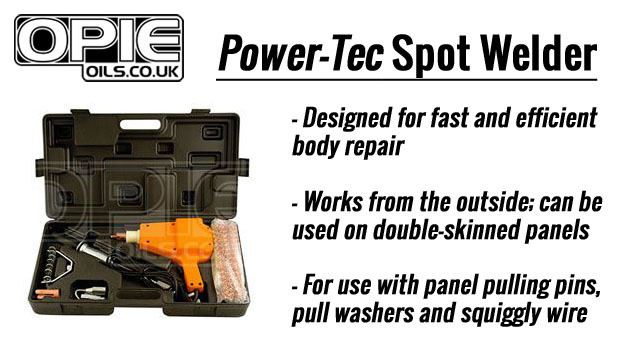 Well, those days could be a thing of the past for those budding workshop fanatics and bodywork tinkerers out there, with the Power-Tec spot welder! Cabin air filters – the most important filter in the car! Today, we’re going to be taking a look at cabin fiters, and the role they play in filtering out all of those nasty particles found on the roads these days. 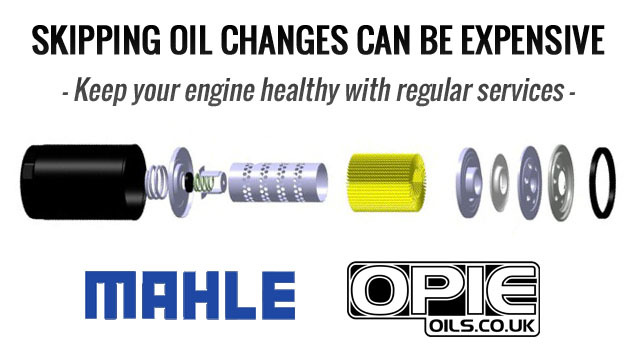 We use Mahle for the majority of our filters, and for good reason – they offer OEM quality products that are designed to reliably fit a huge range of vehicles, at great prices. You can even use the code OPIEBLOG to get 10% off your order! Red Lines fuel treatments are extremely popular due to the quality of their ingredients and the effectiveness of their formula. 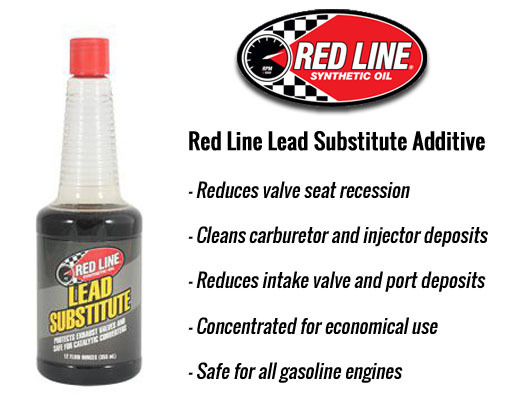 So, when Red Line got in touch to inform us about a formula change on one of their most popular additives, the Red Line Lead Substitute, we were all ears! There are unique advantages to using an arc welder over a standard welder, from it being considerably more economical, lighter joints that have the strength equal to the parent metal, and offering an overall improvement in the surface finish of the welded joint. Now, Opies are pleased to announce that we sell arc welders, the perfect addition to the workshop for all you tinkerers out there! Fuchs Oils are based on the latest research and development of the largest independent lubricants specialist in the world today. Fuchs oils are high performance, fuel-efficient, resilliant and provide maximum wear protection for your car or bike. At Opie Oils we can provide you with the widest range of Fuchs Car Oil / Lubricant Products anywhere in the UK. 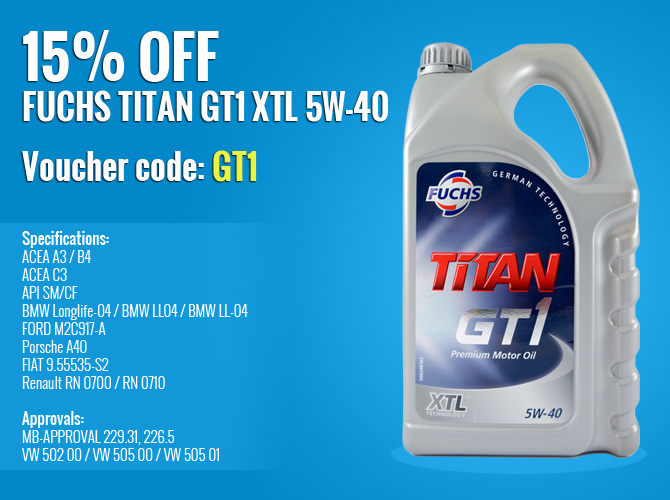 Also, just in time for the weekend, we’re offering 15% off one of their most popular products – Fuchs Titan GT1 XTL 5w-40! Oil plays a significant role in ensuring a long engine service life: It undertakes a variety of tasks, all of which are crucial for the smooth running of each engine process – from lubrication and damping, to cleaning, cooling and sealing, right up to corrosion protection. Today, we’ll be taking a look at the importance of regular oil changes, and how this can save you money in the long run. After a gear oil for your classic car? Tracking down the correct specification gear oil for your classic vehicle can be a nightmare. 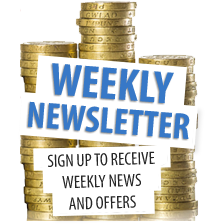 If you are lucky enough to find the correct viscosity and specification product, then there is always the chance that it is of low quality, using the cheapest possible base stocks. This is where Millers Oils come in with their classic range of “Pistoneeze” and “Millerol” oils. They provide a comprehensive range of classic gear oils that are designed specifically for the classic market, combining quality base stocks with the correct specifications – at the right price too!